Basic Strategy with Early PayoutTM is a Vuetec trademarked game enforcing mandatory basic strategy play and offering an early surrender option at each stage of the deal. Play up to 3 hands at once. 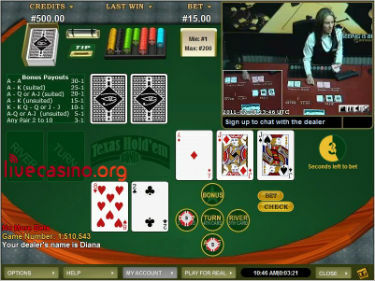 Simple Punto Banco format offered on a low limit and high limit (pictured) table. 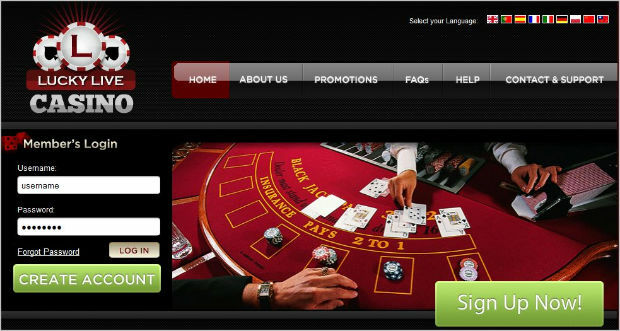 Standard bets only, with no side bets available and a very fast deal...probably the quickest live baccarat game you'll find online. 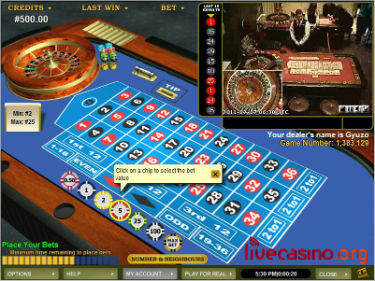 - roulette high limit (pictured). 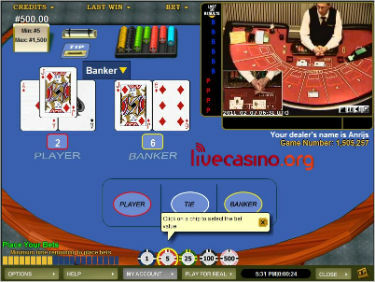 Watch players inside the casino placing their bets on your table. This is a player versus the house Texas Holdem game. An Ante bet gets you 2 pocket cards. A Call bet (2x the Ante) will let you see a flop. From there you can check or raise through the turn and river. A bonus is paid (according to payout table) for certain poket cards. 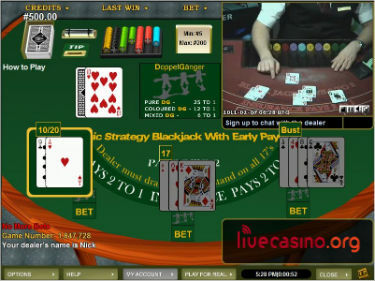 Lucky Live Casino offers something that most live online casinos don't...the ability to play games being conducted inside an actual terrestrial casino. You're playing the same games that patrons inside the casino are playing and despite the physical constraints facing the task of game capture in a real casino (vision particularly) the games look and play pretty well. Broad spectrum video actually makes this an ideal option for play over slower Internet connections.